Mrs. Totten, our incredible STEAM STUDIO teacher, has been selected as one of the Air Zoo’s Science Innovation Hall of Fame Educator Excellence Awardees! Read more about it on the school blog. We are SO CLOSE to meeting our needed sign up to get $500 worth of PE EQUIPMENT! We need just 26 more kids…that is one student per class. The Kids Heart Challenge does not involve money — it simply involves registering and committing to taking care of your heart through exercise and diet. Here is the link to the Kids Heart Challenge BLOG POST. WE CAN DO IT! Just 26 more kids and we will have $500 worth of PE equipment for everyone to use! We are kicking off our Kids Heart Challenge program (formerly Jump Rope for Heart)…and our school’s event is right around the corner! Each class will participate in jumping stations Feb. 28 – March 6 when they come to P.E. Your child is learning how nutrition and being active can help us live longer, healthier lives. 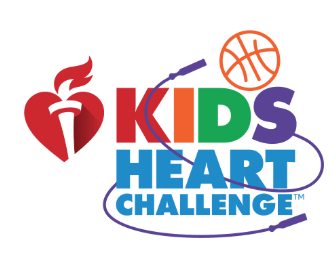 Students will be receiving information about Kids Heart Challenge during P.E….please ask your child about it. We are encouraging all of our students to “Take the Challenge”, choose water over sugary drinks, exercise for 60 minutes daily or do a kind deed. If we can get 50% of our student body to take the Challenge, (register online) we will receive $500 to purchase new PE equipment. Let’s all get healthier together! Please note that all donations this year MUST be done ONLINE! We are not accepting any envelopes with money turned in. Again remember just by registering online, you are helping our school earn $500.00. 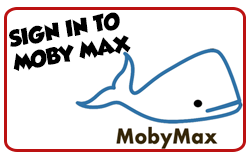 By giving a donation online your child will earn prizes and will be supporting the American Heart Association. Jump online, take the Challenge and be a Heart Hero! Students unwrapped presents with oven mitts, blew Q-tips through straws at a bowl, and completed a variety of challenging relay races. They were also treated to yogurt parfait and opened Valentines from classmates. Please watch the Animoto presentation below to get a glimpse of our celebration. We’ve gone from a typical Michigan snow day to extreme winter weather snow days. Encourage your child to do at least 30 minutes of learning (see below). For each snow day, one student from each grade will win a $10 BARNES and NOBLE gift card. The class with the most SNOW DAY LEARNERS will win a PIZZA PARTY with the PRINCIPAL. This will be the accumulation of all learners who participate between Friday (1/25) and whenever we return. SO FAR … we have 50% (285) of our students who have engaged in some sort of learning. Let’s get it to 80%!! WE CAN DO IT! Read a book or two or three. ONLINE Learning record for reading minutes. Or if you can’t get online, email the teacher and let him/her know what your child has done to learn. Most importantly, stay safe and STAY INSIDE and stay warm!